Recently, Micky Yoochun who plays the role of Crown Prince in SBS drama “Rooftop Prince” made public a photo of him when resting. 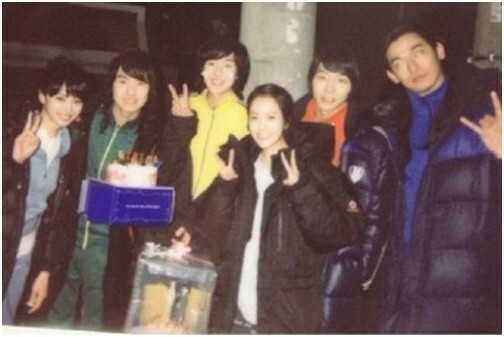 On April 17th, 2012, Park Yoochun tweeted on his Twitter account, “Tweeting when resting,” and uploaded a photo. 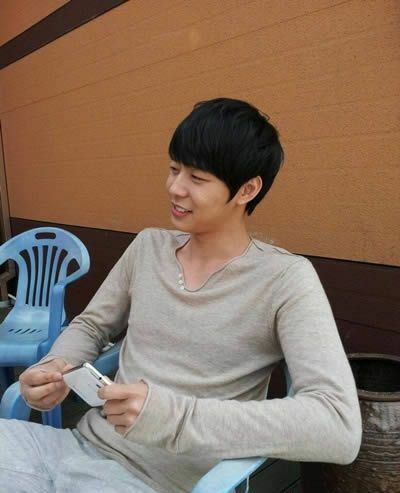 In the photo, Park Yoochun was wearing a long gray T-shirt, sitting on a old chair, and holding cell phone. Netizens commented on the photo, “Crown Prince sat on such an old chair”, “Convenience store near my home has such a chair”, “Like a model even when wearing casually”, “The straight collarbones is not a joke” and so on.